After years of producing and hosting live events, Xyvid, Inc.’s experienced technology experts recognize that there are several keys to presenting an effective video webcasting event. The following tips will provide a foundation for your team to ensure a successful virtual experience and ultimately the best results possible. 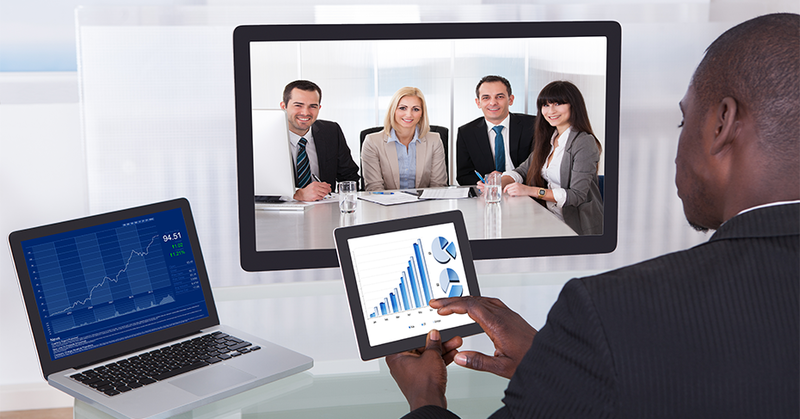 Pre-planning is vital: Preparation is essential to all aspects of your virtual meeting. The time and thought spent during the planning process pays off in dividends when it comes time to execute. Assemble your team as soon as possible; factor in the time needed for any legal review of promotional materials and ample recruitment time. Communication is key to any successful project so be sure to set up a weekly touch point meeting. Define your company’s intent for the broadcast at the outset and determine the intended target audience for this message. What do you want your audience to take away from this broadcast? What do you want to learn from your audience? Use these fundamental considerations for your rational throughout all decisions. When recruiting your audience use a combination of invitations and advertisements to get the biggest draw. You can send personal invitations to people who have attended previous webcasts you have hosted or purchase a targeted list from a third party. You should advertise through banner adds or articles on popular websites associated with the subject matter in addition to your own site, and through your Social Media. Most registration engines can track which ad the registrant clicked on to sign up. This is vital information to hone your recruitment efforts. Part of your preparedness must include spreading the word of your upcoming event through your own marketing channels, among potential attendees, and through social media platforms. Early registration is another benefit to advance planning. Offering discounts for pre-event registration is a win-win for participants and event attendance. Choose an expert team: Great things happen when you employ great leaders! Select a company with a level of technology expertise that ensures your event and attendees are in great hands. There are a lot of service providers out there. When it comes time to select your technology partner it is important to ask the right questions. For example: How long have you been in the business? What separates you from the rest? What level of redundancy do you implement? How do I use your platform to the fullest potential? What can you do to help keep my audience engaged from start to finish? You should be able to explain what you want and your vendor tell you how to efficiently accomplish it. Event Game Plan: Develop an event-day plan that everyone involved can follow. Having a solid plan for the day of your broadcast makes all the difference. Two essential documents at the broadcast location are a Production Schedule and a Show Flow. Your technology partner will be able to help you create these. The Production Schedule documents the play by play of the time leading up to Live. This includes call times for crew and your talent, rehearsal time, makeup, meals, etc. The Show Flow is your program cue sheet so the crew runs like clockwork. This outlines allotted time per presentation section, the time of any video clips to play, and any other important cues. Be sure to watch for part two of Xyvid’s three-part blog series on top industry tips for successful video webcasting presentations. Xyvid, Inc. delivers precision broadcasting for the web. For our clients, we provide a high-resolution, internet-based broadcast platform as an affordable substitute to high-priced satellite broadcasting, without sacrificing any of the visual quality of the broadcast. For our viewers, we provide a dynamic, interactive and engaging virtual event experience that is proactively monitored to constantly meet our own performance standards and exceed viewer expectations.